Almost everyone is familiar with UFC, especially back in the day when it first started. It was known as a “freak show fight” where you would see some 110lbs. monkey style fighter take on a sumo wrestler. UFC has evolved into a stricter fighting competition but it owes its roots to K1 and also Pride Fighting. 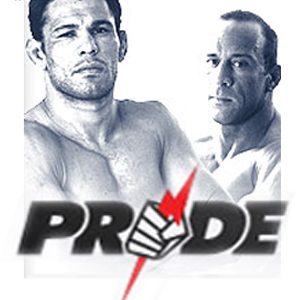 Pride Fighting differs from UFC as it is done in a boxing ring, not the octagon. The fighters are also versed in more variety of styles of fighting were as UFC has become a soapbox for MMA (mixed martial arts). A lot you probably have heard of Royce Gracie, a Brazilian Ju-Jitsu master who made a name for himself by hating on fools in Pride. Now you can watch what Maxim considered to be the top 10 Pride Fighting Knockouts. Watch the bodies hit the floor in the top 10 Pride Fighting knockouts. PS-I apologize for the bad Drowning Pool reference….god is that song tired and overused.